The S7771 large Sentry commercial safe has 1 hour fire protection to contents. 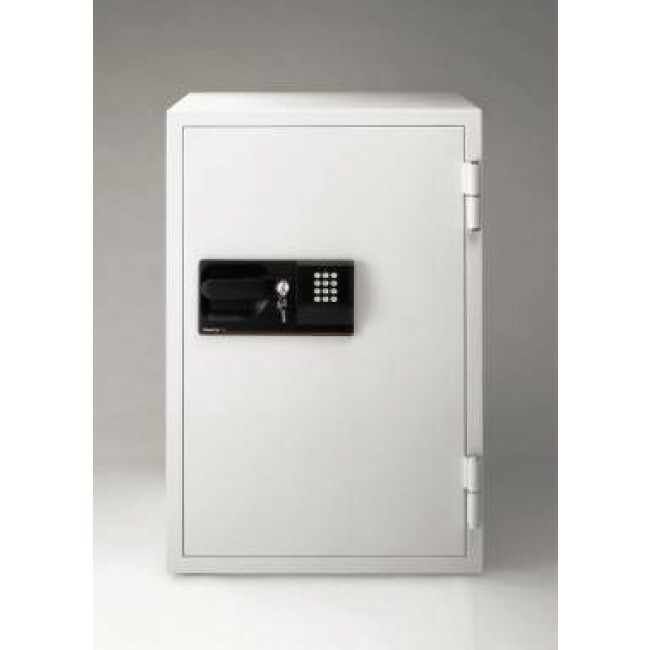 Intended for commercial environments, this safe provides great storage for important documents, keys, and other valuables.This model includes a locking drawer for storing small items such as jewelry and keys. Sentry does not recommend bolting down these large safes. 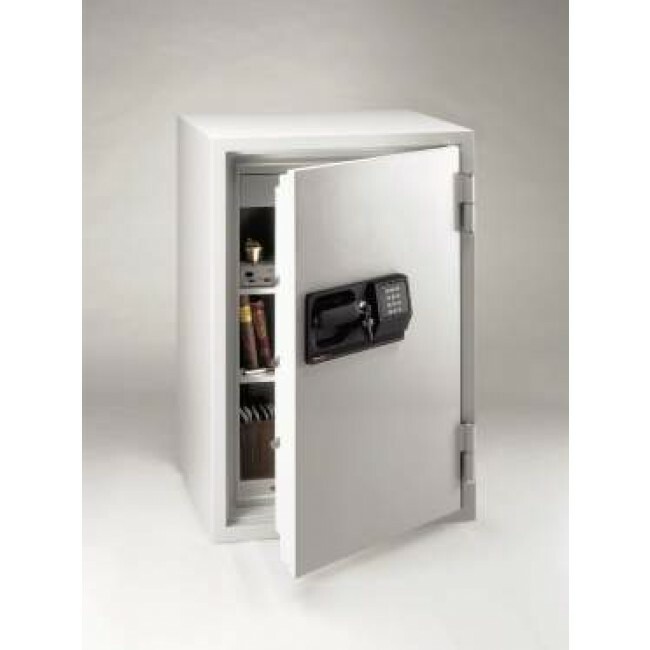 The dual lock means the key is required for accessing the safe as well as the access code. 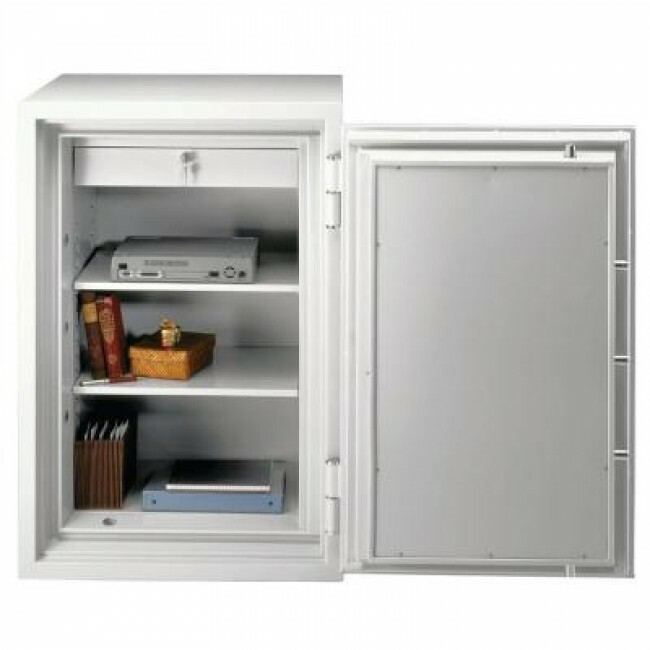 Free shipping on this safe is a liftgate (curbside) or dock to dock delivery. Threshold placement is available on this product for $120.00. Indoor placement delivery is available for $195.00*.